Huizhou Shengyang Industrial Co., Ltd manufactures Automatic Screw Locking Machine, automatic screwdriver robot and other automatic machines and equipments that can benefit different industries, such as mobile phones, home appliances, medical devices and other electronic items. The electronics manufacturing industry requires different types of machines and equipments. Huizhou Shengyang Industrial Co., Ltd designs and develops automatic screwdriver robots that are aimed at tightening small screws of a compact electronic part. These robots and Automatic Screw Locking Machines can efficiently lock screws in a narrow space, where human hands cannot reach easily. The company’s machines and equipments work in an automated environment that improves the output as well as performance of the electronic manufacturing industry. The automatic screwdriver robot functions on the vacuum suction method, which is far superior to the magnetic suction method. The robot can easily hold all types of screws, including the stainless steel screws, which tools using magnetic suction cannot handle. With its high universality, the robot is suitable for different types of electronic manufacturing that uses a wide variety of metal or plastic screws. 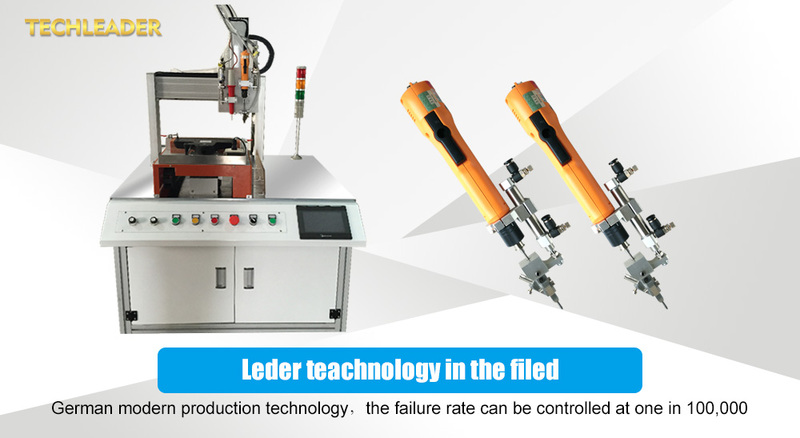 The robot is also efficient in handling screws with different length to diameter ratios without any difficulty. Thus, it can easily meet the requirement of screw locking of screws of different shapes and sizes. It comes with different suction nozzles and one just needs to change the nozzle in order to handle screws of different sizes. Huizhou Shengyang Industrial Co., Ltd spokesperson maintains that their screwdriver robot features a great commonality and can apply to a wide variety of screws without any issue. The robot can play a great role in the mechanized production of a range of electronic items. According to the spokesperson, the robot has been designed to reduce the intensity of the manual labor and better the production with an automated screw locking function. The companies that are still relying on the traditional manual way of screw placement can now take advantage of this screwdriver robot to improve their performance and efficiency. In small electronic parts, the screw alignment process could be time-taking and rigorous for the manual workers, while the robot can take all the pain and can automatically detect the hole to tighten the screw. The company also specializes in the manufacturing of the Automatic Screw Locking Machine that can be used for the screw locking of the finished products. The machine allows manual loading of the products, while can precisely lock screws in multi-axial directions. The machine’s intelligent screening feeder allows locking of the screws according to the preset coordinates. The spokesperson reveals that the machine can lock screws with the highest degree of reliability and stability that is essential for the long-lasting performance of the products. To know more about the automated screw locking machines and robots, one can visit the website https://www.automaticchina.com/.